Let me take a moment to introduce you to the owners at Exit Preferred Realty, Sue and Craig Strobel. This wonderful couple provides me with tools to grow my Real Estate Business. At Exit Preferred Realty , I am encouraged and motivated to be successful. Sue and Craig provide me with numerous training opportunities. The Strobels are committed to growth and development of Exit agents within the Exit Mid-Atlantic Region. More Service, Less Stress! Promotional Opportunity! This is their motto! Craig believes in realistic goal setting. After reviewing my yearly goals, we discuss pointers on how to accomplish my targets in a month by month timeframe. Craig and Sue are approachable. They are never too busy for me! I am lucky to be able to speak with owners, Craig and Sue Strobel without an appointment. Not to many agents can make that statement! Also,I am provided with state of the art Computers and Widescreen TV Monitors used for intractive Exit Training, Webinars , Video Conferencing, Exit University and iFastTRAC. So, if you are interested in becoming a Highly Trained, Motivated, Goal Setting, High Tech Real Estate Agent, Meet The Strobels! 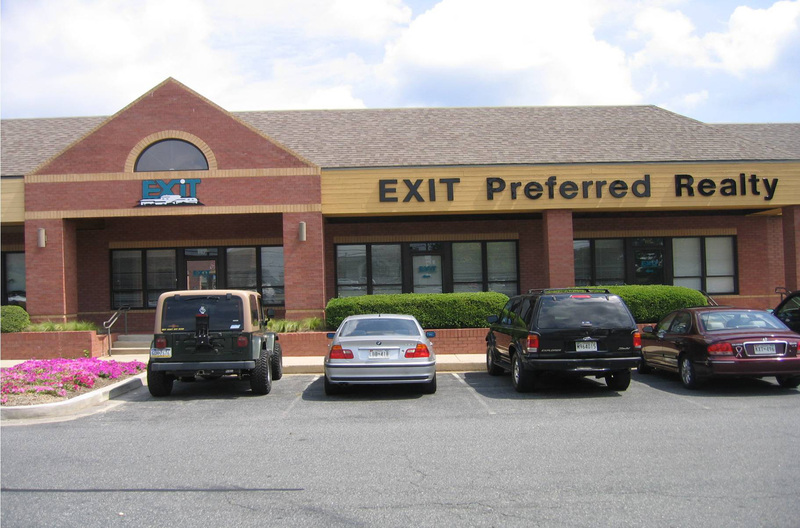 Exit Preferred Realty has 3 locations in Northeastern Maryland. If you are looking for a Career in Real Estate, think about Exit Preferred. Grow your Real Estate Business! Grow Your Cash Flow! If you are interested in building a rewarding career in Real Estate contact me and I will introduce you to the owners of Exit Preferred Realty, Sue and Craig Strobel. Got 4 minutes to find out more about how Exit Realty can change your income and your life? Click and go! 4 Minute Million and Take 10 With Exit. If you are thinking about a Real Estate Career, think about Exit Realty. For more information contact Jennifer Thompson at Exit Preferred Realty.